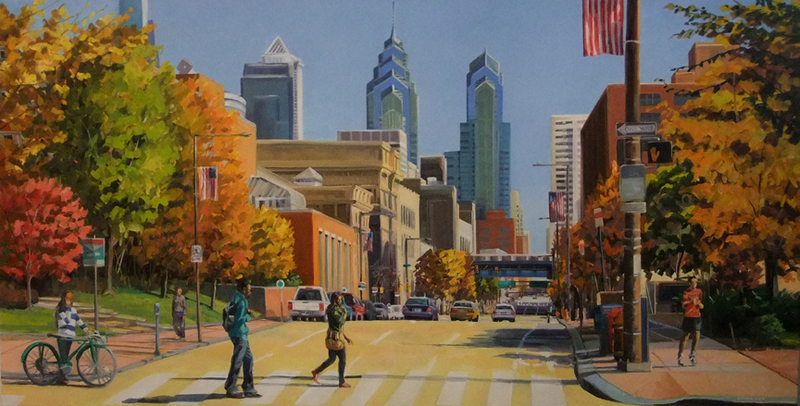 Fall on Chestnut - commission completed! 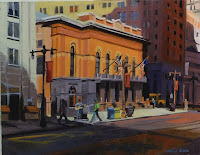 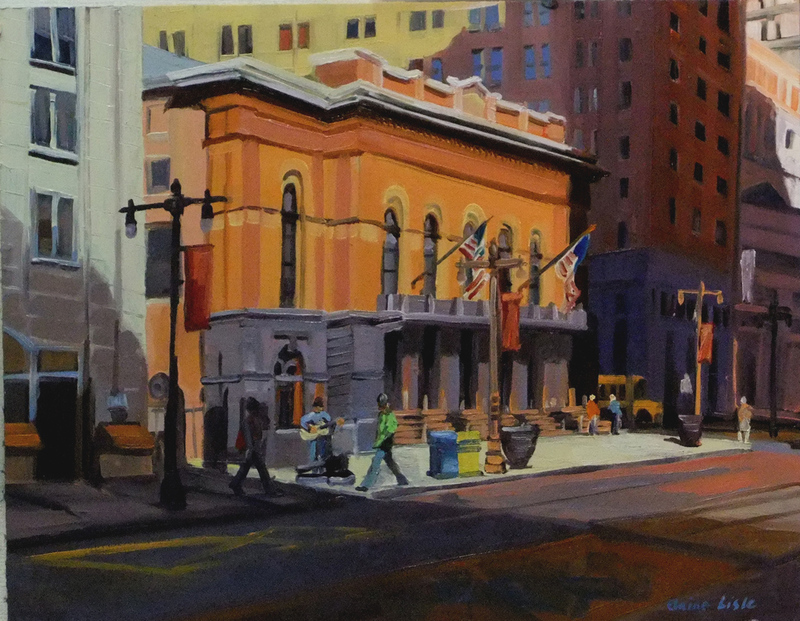 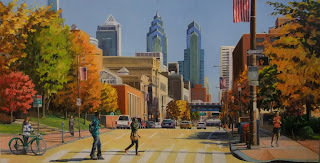 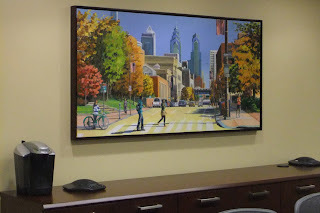 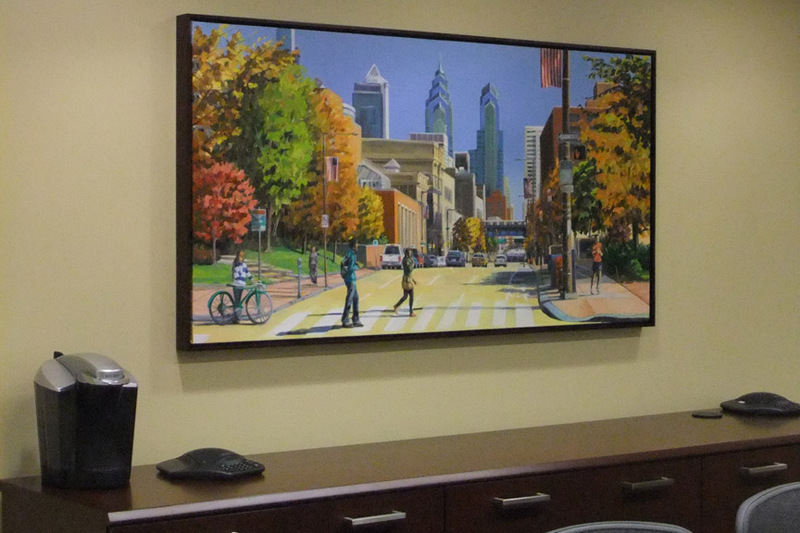 Here is the final painting I have just completed for a downtown Philadelphia Accounting Firm! 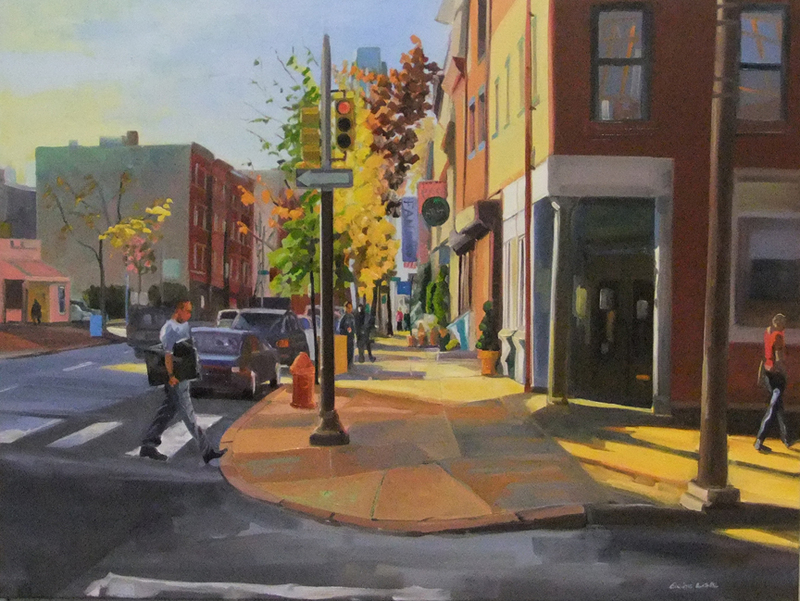 It was a fall evening in old city when I snapped a picture with my cellphone... 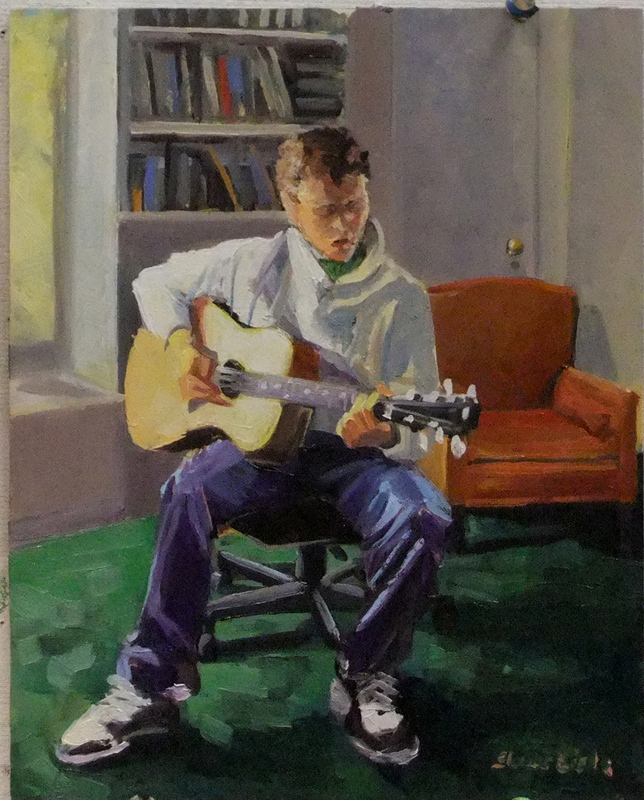 I had no time to sketch and knew the light would only be there for a fleeting few minutes, but I tried to remember what I saw, and used the photo as reference to reproduce it. 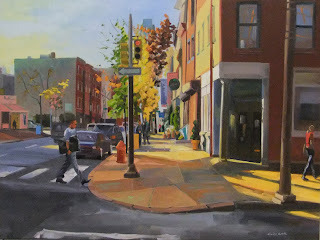 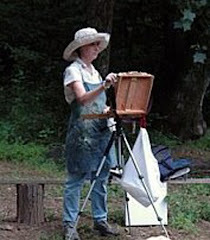 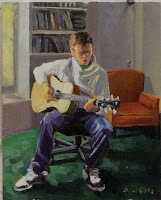 I used this painting to demonstrate what can be done in working from photographs in my Large Composition Workshop at the Main Line Art Center in March.